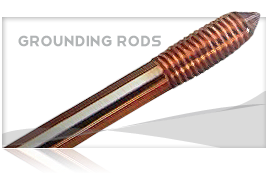 ACAR is a concentric-lay stranded conductor made up of Aluminum 1350-H19 and Aluminum Alloy 6201 strands. While the 6201 Alloy strands usually make up the core with the Aluminum 1350 stranded around them, in some constructions the 6201 Alloy can be distributed in the layers of 1350 Aluminum. 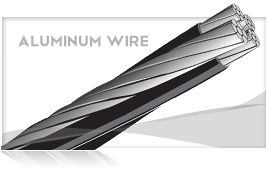 The Aluminum Alloy 6201 wires of ACAR preform much like the galvanized steel core of ACSR by mechanically reinforcing the conductor while offering a much higher ampacity. 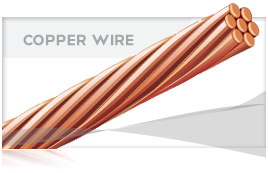 For equal weight, ACAR conductors offer higher strength and ampacity than ACSR conductors. Aluminum conductor alloy (6201) reinforced (ACAR) is used as bare overhead transmission and both primary and secondary distribution cable. A good strength to weight ratio make ACAR a preferred choice for lines where both strength and current carrying capacity are the foremost considerations. +Ampacity based on 75 C conductor temperature, 25 C ambient temperature, with 2 ft./sec. wind in the sun.